Here is the first trailer for the new Fast & Furi­ous 8 action movie, scenes of which were filmed in Iceland, particularly on the frozen Mývatn lake in North Iceland. 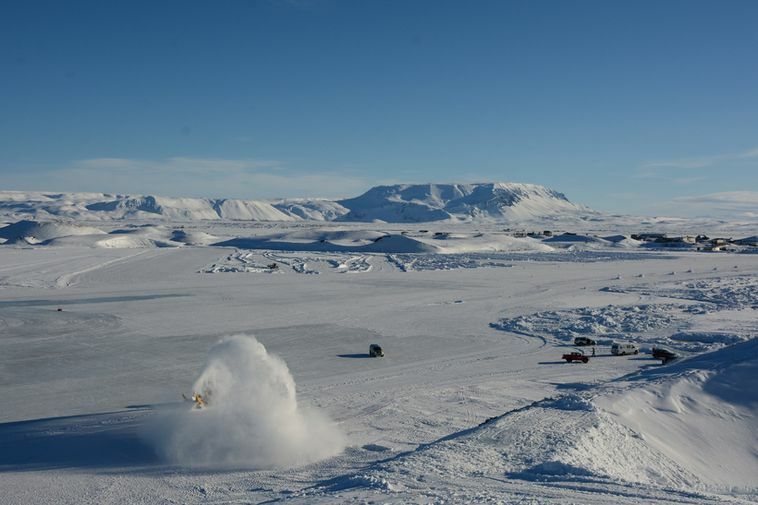 The usually tranquil scene of the Mývatn winter wonderland was invaded this year by tanks, film crews, and – if the trailer is to be believed – submarines crashing through the ice. MORE: VIDEO: The real star of Fast 8 – Iceland! Local mayor Regína Ásvaldsdóttir says that the filming – which involved up to 300 people – brought life and fun to the area and has a positive impact on local business.